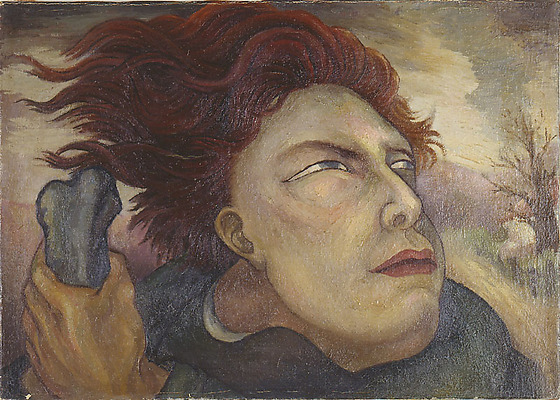 Portrait of a human face with long, dark red hair blowing in the wind. He looks up toward the upper right corner as he grasps possibly the head of staff in his yellow, left hand, lower left corner. His right ear is small. He wears dark clothing with white at neckline around his thick neck. A bare tree appears in the background, right, under overcast skies.